in the center of Lausanne, 50 metres from the FLON. In town for a few days? Need a place to call home? Working on a temporary project (like a local event)? Or maybe, you just need space a few days per month. 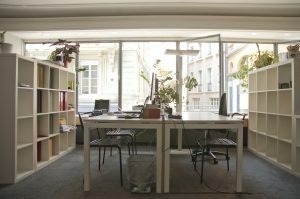 We offer several desks in an equipped and user-friendly shared office at Rue Haldimand 15, in the very center of Lausanne. Just click below to ask if we can accommodate you. A desk of your own in a shared, equipped, and centrally-lcoated co-working space. You’ll work in the same spot each day. We are a comfortable open space and your co-workers include Simon, from the Snowball Lab, Stefan vom Estèphe, Karen from Picadus, and others. 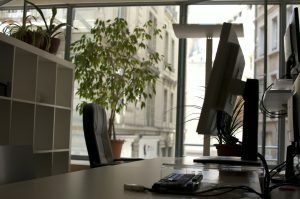 This plan gives you 24/7 access to a desk in a private, open space office. Also, this plan offers: a mailbox, your name at the door, meeting room (max 12 hrs/wk), individual locker, wifi access, coffee/tea. With up to 6 seats, including coffee/tea, wifi, flipchart, and beamer projector. Available by the day (105 CHF), half day (55 CHF) or hour (30 CHF) or less if you book the room regularly. Reduced rates are available for recurring bookings (meetups for example).